The one you have been waiting for!With the open floorplan that so many are want and traditional detail, this one is the perfect combination of new and old. White kitchen cabinets, granite counters, stainless appliance and a marble back splash all open to the dining area. Pretty wood floors, tons of windows and light, two fireplaces, a deck and a patio. The living room has french doors opening to a deck. The owners bedroom has lots of closets and a great modern en suite bath. The lower level has a family room with french doors out to a brick patio and big yard. This level has exceptionally high ceilings. 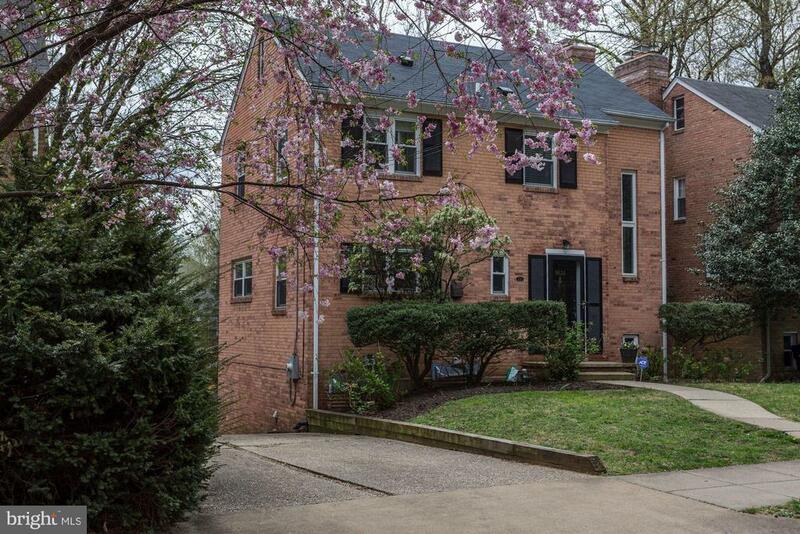 Blocks from Conn Ave and not far to Wisconsin Ave and under 1/2 mile to the red line metro, The location is ideal.